A bridge can basically be defined as a structure which acts as a passage or a way across an obstacle such as a big water body or a valley or a road etc. for the purpose of crossing the obstacle for ease and at the same time taking care that it does not affect the surrounding area much. Bridges nowadays are used for many other purposes other than just acting as a passage like; some of the bridges have a hydro power plant installed beneath them for electricity production too. and talk about everything you might want to know about them. 7 out of these 10 longest bridges are located in China alone. Also known as the Runyang Yangtze River Bridge is a large bridge that is located in the Jiangsu province of China. This bridge is a part of the Yangzhou-Liyang expressway. It is located on the water body of Yangtze River. 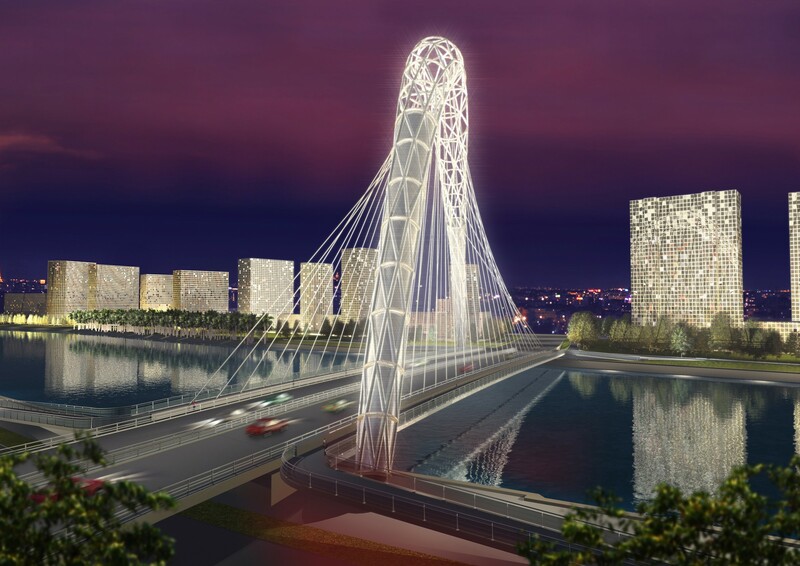 It is a cable stayed type bridge or we can say a suspension bridge. Its total length is 35.660 kilometers. The bridge was opened to the public in the year 2005. The construction of this bridge started in the year 2003; its construction completed in 2007 and was opened in the year 2008. It’s a highway bridge in the eastern coastal region of China. It connects the Jiaxing and Ningbo municipalities of the Zhejiang Province. This bridge is about 35.673 kilometers long. This bridge is built on the water body of Hangzhou Bay. This Chinese Bridge was constructed for the purpose of carrying rails for the Beijing-Tianjin Intercity Railway. This bridge is used for high speed trains which travel with a godly speed of 350 kilometers per hour. The bridge is almost 35.812 kilometers long. It was completed in the year 2007. This American bridge is located in the State of Louisiana extending up to a total length of about 22.80 miles or simply 36.693 kilometers. It is a twin concrete trestle bridge and is one of the longest bridges in the world that’s completely over the water. No toll is collected for crossing this bridge. This bridge was opened in the year 1979 and resembles almost the same length as the Lake Pontchartrain Causeway and both of them are located in the same state. This bridge measuring about 38.35 kilometers is a Causeway composed of two parallel Bridges (northbound and southbound) that crosses the Lake Pontchartrain situated at Louisiana, United States. The southbound bridge was opened a long time ago in the year 1956 and the northbound was opened in the year 1969. Until 1969 it was considered to be the longest bridge in the world. Tolls were collected from the traffic going in each direction until 1999. This Chinese bridge is considered to be the fifth longest bridge in the world. It is used for the sole purpose of carrying Rails. It is about 48.153 kilometers long. The longest span of this bridge is 44 meters. It is also built for the Beijing-Shanghai High Speed Railway originally located in Beijing. Its construction was completed in the year 2010 and was opened in 2011. After the first three longest Chinese bridges dominating the list comes the “Bang Na Expressway” located in Thailand, considered to be the 4th longest bridge in the world. It is a six lane elevated highway which is about 55 kilometers long and which runs over the National highway route 34. (Bang Na Bang Pokung Highway) which is owned by the Expressway Authority of Thailand. This bridge is around 27 meters wide and has an average span length of 42 meters. Its construction was completed in the year 2000 in the month of January. There are 2 toll plazas located on the bridge. This bridge is not included in some of the lists of the longest bridges because of the fact that it does not cross a body of water for the majority of its length and hence doesn’t completely justify the definition of a bridge. This bridge located in China is the main facilitator of the Zhengzhou-Xi’an high speed railway, which connects the provinces of Zhengzhou and Xi’an in China. This bridge is estimated to be about 79,732 meters long (79.7kms). It is situated on the Wei River and it actually crosses this river twice including many other railways, highways and rivers. When its construction was completed in 2008 it was considered to be the longest bridges in the world, but it was overtaken by two new bridges that are mentioned below (Danyung Kunshan and Tianjin Grand Bridge). Although its construction was completed in the year 2008, but its railway line opened on 6the February 2010. Considered as the second largest bridge in the world, the Tianjin Grand Bridge is also located in China and is built between the cities of Langfang and Qingxian. It is also a part of the Beijing-Shanghai high speed railway. It is located in the Hebei province of China. Its length extends up to a massive 113,700 meters or simply 113.7 km. The construction of bridge started in the year 2006 and marked the end of the construction in the year 2010 and was opened for use in the year 2011. It was marked as the second longest bridges in the world by the Guinness book of world records in the year 2011. 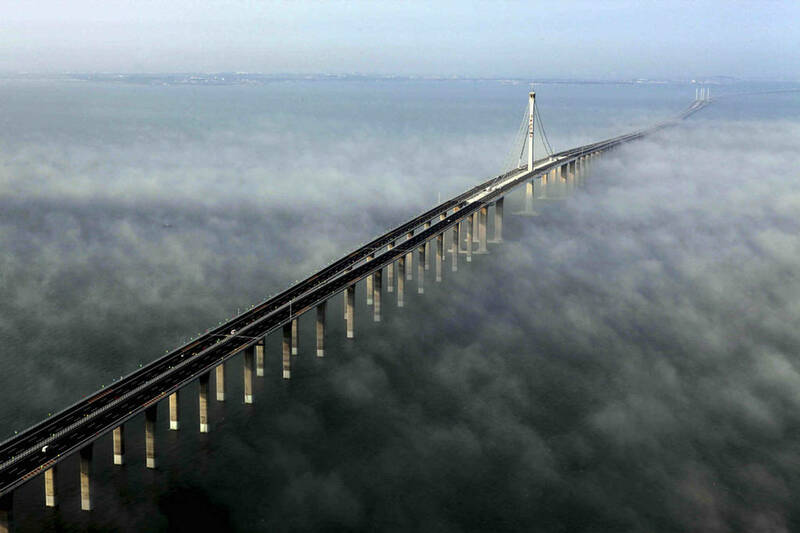 Located in China, the longest bridge in the world as of now and in top of list Longest Bridges in the world. The length of the bridge extends up to 164.8 kilometers, and also holds the Guinness World Record of being the longest bridge in the world. It is located on a rail line between the Shanghai and Beijing high Speed railway. It is built on the Yangcheng Lake and crosses low rice paddies which are a part of the Yangtze River delta. The construction of the bridge started in the year 2006 and in the next 4 years China was able to complete this marvelous bridge, opened it for public use from the date 30th June, 2011. Your photos are terrible . How can a railway bridge be a roadway bridge ? Why show bridges over water which are actually over land ?